Each month I will introduce you to women entrepreneurs from the beauty and skincare domain. It could be someone who has setup an organic skincare brand or someone who has done exceptionally well in aesthetic beauty industry. But what all these wonderful ladies have in common is their desire and passion to create something valuable from scratch. And I begin the series with Natalie Balmond, founder of Purepotions. Could you tell our readers a bit about yourself? I am 47 years old and live with my three daughters who are 21, 18 and 12. We have lived in Brighton for about 15 years and we love it here! My working life began as an actress in Theatre and TV but once I started a family I found that my acting career didn’t really allow me to be around my children as much as I wanted, so I stopped working as an actress and re-trained to become a childbirth educator. This new career allowed my working life to fit more around my family life which suited me much more. It was some years later that the possibility of running a business began to develop. What spurred you to start Pure Potions? My daughter Lula suffered from eczema from about the age of 18 months, all over her face and body. None of the treatments we tried worked. None of the conventional GP-prescribed creams and alternative remedies, alleviated the itching and soreness that was causing Lula a great deal of distress. By the time she was two and a half, she was so poorly that 90% of her body was covered in open bleeding sores and she had to be wrapped in bandages every day. Steroid creams would reduce the problem for a few weeks but with potential long-term side effects like thinning of the skin, I didn’t want to be using them on her for too long. I was determined to find a solution. I read up on herbs and traditional remedies to help with skin problems, and with much determination and experimentation, I developed a natural salve in my own kitchen using a combination of herbs and oils which dramatically improved the condition of Lula’s skin. 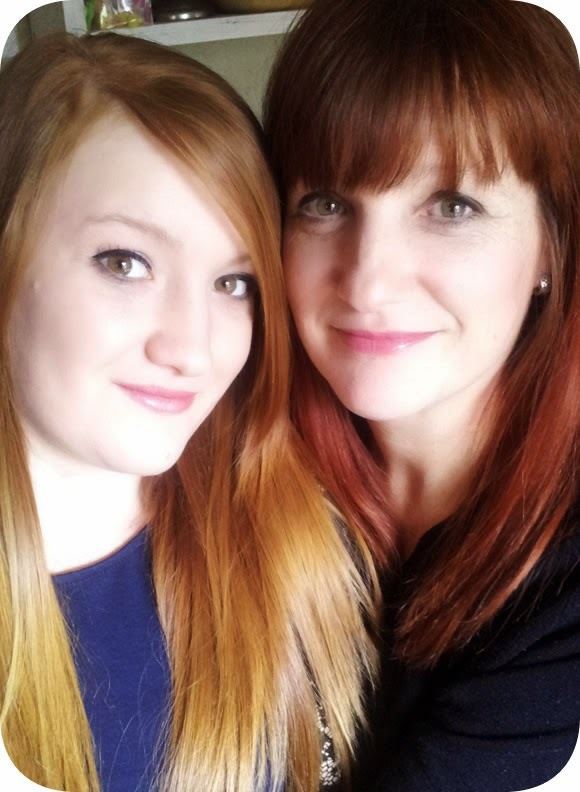 Following my discovery and the massive improvement to my daughter’s condition, an article was published telling the story and soon I was inundated with requests from other sufferers wanting to try it. It quickly became apparent that this was a very special discovery as testimonies starting rolling in from grateful customers. 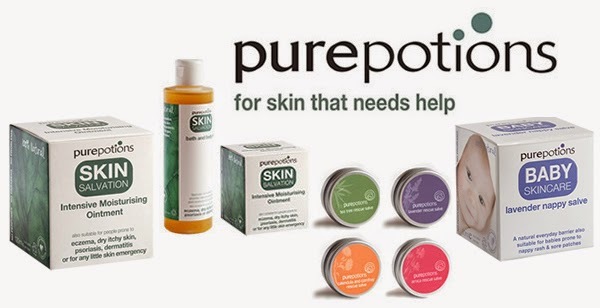 I was approached by several people interested in growing a business and in 2002 Purepotions was born. We moved to premises in central Brighton and worked hard to raise the company profile through editorial and sales in heath food shops across the UK. In 2006 WezeMcIntosh, a good friend of mine, invested in the project and since then we have focused our energies into planning a clear and coherent direction for the future of the business. Natalie Balmond (right) with her daughter, Lula. Did you face any challenges while starting purepotions and how did you overcome them? With my previous background in acting, I had good communication skills but with absolutely no formal business background,I had no clue what it would take to put the infrastructure of a business in place. Needless to say it was a steep learning curve.This was the biggest challenge. There are so many things to consider when running a business and little by little I started to develop the disciplines needed to run a successful company. However, My role as Director of the business from its start-up has meant I have gained extensive knowledge of my field and I have been instrumental in developing all aspects of my business including the set-up and design of production, operational procedures, formulation, branding, distribution, marketing and research. There is an increase in interest for natural skincare products. Why do you suppose that is? In the light of current trends towards foods which do not contain harmful chemicals or preservatives, studies are now showing that a high percentage of what we put on our skin is absorbed into our bodies and processed through our livers. This information has now filtered into the consciousness of consumers where the "toxic toiletries" story is very much in the public awareness and is affecting the choices consumers are making. The interest in health and harmful chemicals also links closely with an increased regard for the environment and an increasing market for “green and ethical” products. Natural creams and oils tend to be much more hydrating and less aggravating for sensitive skins. When it comes to our own children, we realise how sensitive and precious their skin is. People turn to natural skincare products to avoid any irritation that may upset them. I think people look at this, and are now applying it to themselves. What are the three main ingredients that people need to watch out for in the skincare products they use today? These are used as detergents and surfactants (an agent such as a detergent or a drug that reduces the surface tension of liquids so that the liquid spreads out, rather than collecting in droplets) and are found in soaps at car washes, cleaners for your garage floors and engine degreasers. Both SLS and SLES are utilized more extensively as one of the major ingredients in cosmetics, toothpaste, hair conditioners and about 90% of all shampoos and products that produce suds. Mineral oil is a frequent ingredient in commercial lotions, creams and baby care products. It is clear, liquid oil that has no scent and will not go bad. It is manufactured as a by-product of the distillation of gasoline from crude oil. Mineral oil is the surplus liquid and is a very copious product—therefore very cheap. Fact is, it is more cost effective to use it than to dispose of it. These are a group of extensively used compounds. You can find phthalates in perfumes, additives to hairsprays and numerous cosmetics. Phthalates moved stealthily into prevalent use over the last several decades due to the many useful chemical properties. Now they are everywhere, not just in the products in which they are deliberately used, but in addition as contaminants in just about anything. It is used in so many things now, that about a billion pounds per year are produced worldwide. And lastly, are there any new products in the pipeline from Purepotions? I have just added the moisturising scalp oil to the Purepotions range. This is for those prone to itchy, flaky, sore scalps, scalp psoriasis & seborrhic dermatitis. Also new, our Scar Oil for stretch marks, scarring, uneven skin tone and dehydrated skin is launching any day.